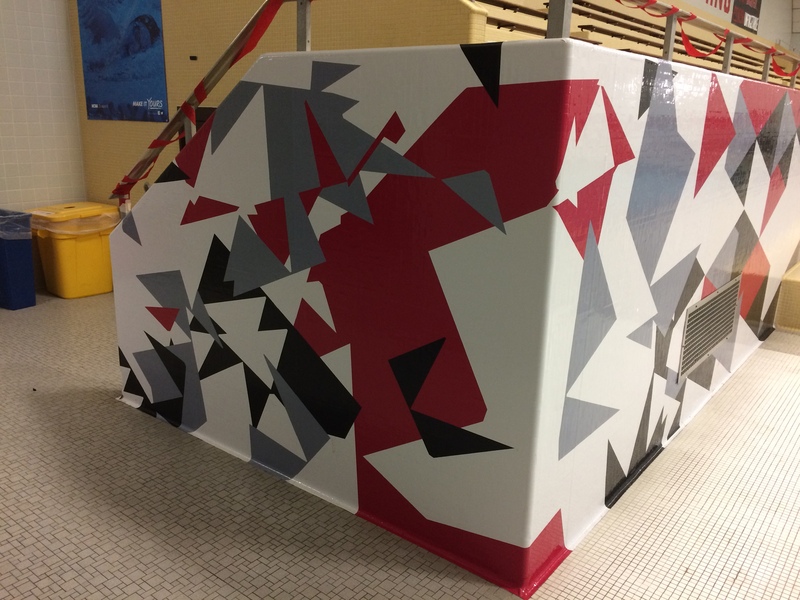 Below are some pictures from a mural I worked on with two of my students. 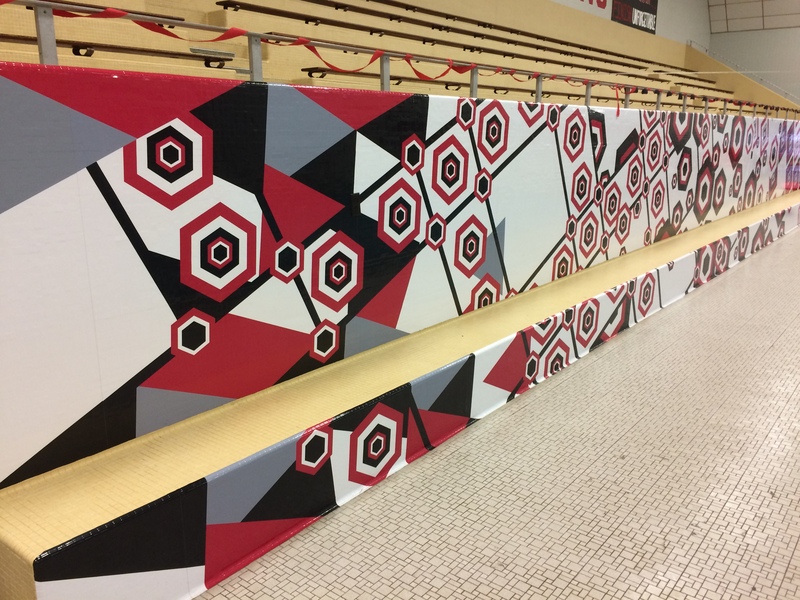 As an Independent Study, Ryan Scardecchio and Jared Keller created a series of patterns in ESU school colors. 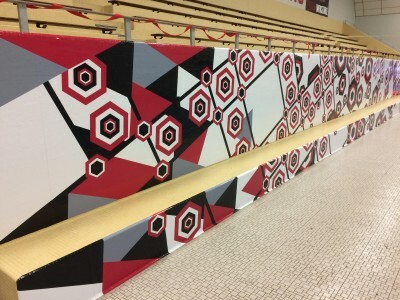 I then took these patterns and merged them together to create the mural you see below inside ESU’s natatorium (aka. Koehler Pool). 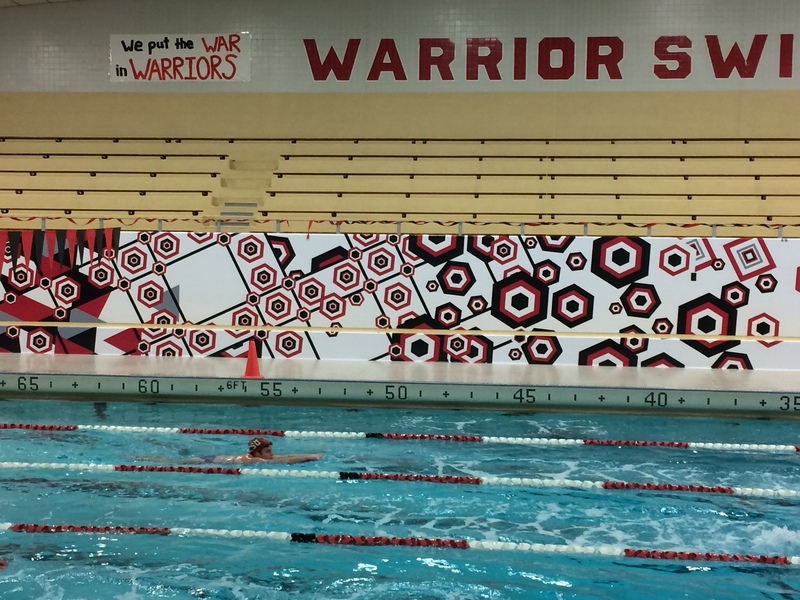 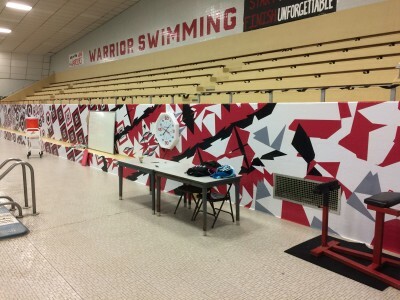 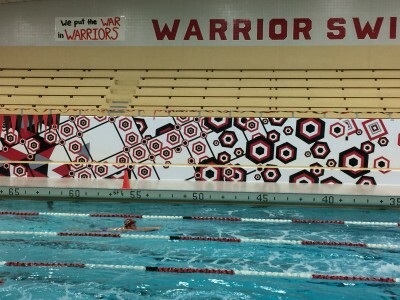 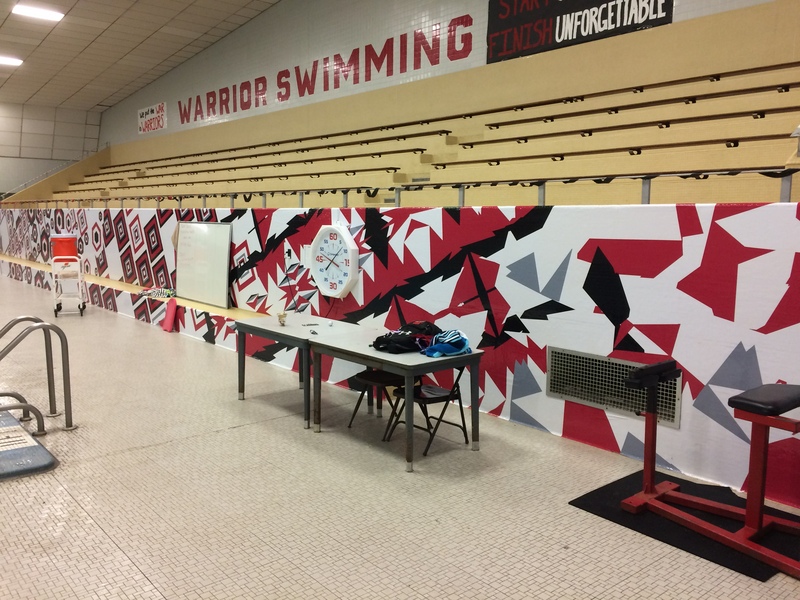 My students worked with Jeff K. from And the Sign Says (Easton, PA) to install the mural as a vinyl wall wrap that will be enhancing ESU’s natatorium for years to come!